Delhi Government has launched Zero Fatality Corridor with an aim to curb the number of accidents. The announcement was made by the Minister of Transport, Delhi during the opening ceremony of the Road Safety Week. A 3km stretch between Bhalswa chowk and Burari chowk on the outer ring road has been chosen as a case study in this regard. The project aim is to reduce the fatalities to near zero levels on this particular stretch. India is now the second largest consumer and importer of the LPG in the world behind China. The import of LPG grew by 12.5 per cent over the past five years to 12 million metric tons (13 million tons) in 2018-19. The number of active LPG consumers in India has grown at a compounded annual growth rate (CAGR) of 15 per cent from 14.8 crore in 2014-15 to 22.4 crore in 2017-18. Increase in population combined with LPG penetration in rural areas has resulted in an average growth of 8.4 per cent in LPG consumption. The Union Cabinet headed by Prime Minister Narendra Modi has approved the Cinematograph Amendment Bill 2019 which aims to amend the Cinematograph Amendment act 1952. The amendment bill makes film piracy offences punishable with imprisonment up to three years and fines that may extend to 10 lakh or both. The amendment bill adds a new subsection (4) to section 7 of the Cinematograph Act, 1952 with the definition of piracy and the penal provisions for the same. 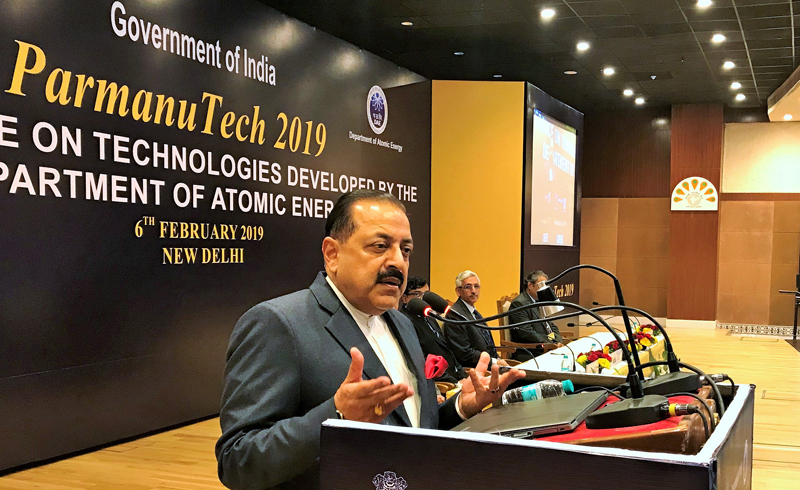 Ministry of External Affairs and Department of Atomic Energy (DAE) on 7 February, 2019 organised the ‘Parmanu Tech 2019 conference that is aimed at showcasing the societal applications that the Department of Atomic Energy is pursuing in New Delhi. India has achieved a unique place in the international community for progress in space technology as well as nuclear energy. The Union Cabinet on February 6, 2019 approved the amendments to the Banning of Unregulated Deposit Schemes Bill, 2018 which were recommended by the Standing Committee on Finance (SCF). The amendment defines three different types of offences, namely, running of Unregulated Deposit Schemes, fraudulent default in Regulated Deposit Schemes, and wrongful inducement in relation to Unregulated Deposit Schemes. The Union Cabinet on February 6, 2019 approved the establishment of a unified authority for regulating all financial services in International Financial Services Centres (IFSCs) in India through the International Financial Services Centres Authority Bill, 2019. The IFSC is the institution that caters to customers outside the jurisdiction of the domestic economy. These centres deal with flows of finance, financial products and services across borders. The first IFSC of India became operational on April 11, 2015 at GIFT City in Gandhinagar, Gujarat. The Union Cabinet, chaired by Prime Minister Narendra Modi, on February 6, 2019 approved the proposal for establishment of Rashtriya Kamdhenu Aayog for conservation, protection and development of cows and their progeny. It will result in increased growth of livestock sector which is more inclusive, benefitting women, and small and marginal farmers. It will provide the policy framework and direction to the cow conservation and development programmes in the country. It will ensure proper implementation of laws with respect to the welfare of cows. 1. Which state/UT launched the Zero Fatality Corridor with an aim to curb the number of accidents? 2. Which is the largest consumer of the LPG in the world? 3. What is the average growth in LPG consumption? 5. Where was the Parmanu Tech 2019 conference organized? 6. Where is the first International Financial Services Centre (IFSC) of India established (became operational)? 7. 'Darwaza Band' campaign is part of which of the following Government Missions?